This is the prime of draft season for fantasy football. NFL depth charts are coming out, guys are shining in the preseason, and yet, there are a multitude of unknowns. Mock drafting gives fantasy football players the best idea of where they can get guys like Le’Veon Bell, Ezekiel Elliott, and other players that have question marks around them. To join a mock draft, click here. All of the mock draft results are found here and to see all the current ADP’s of each guy, click here. Best Pick – LeVeon Bell: As my number one player for various reasons, to get LeVeon Bell at the third spot is excellent. He provides elite running back numbers and catches the ball like a wide receiver. A true difference maker, Bell is a great pick in the top three. Worst Pick – Michael Thomas: Michael Thomas is emerging as an elite option in fantasy, but I believe he is a reach in the first round ahead of guys like A.J. Green and Jordy Nelson. While he has 100+ catch potential, he does not give you the same ceiling that guys like Green and Nelson offer. He belongs in the top of the second round. 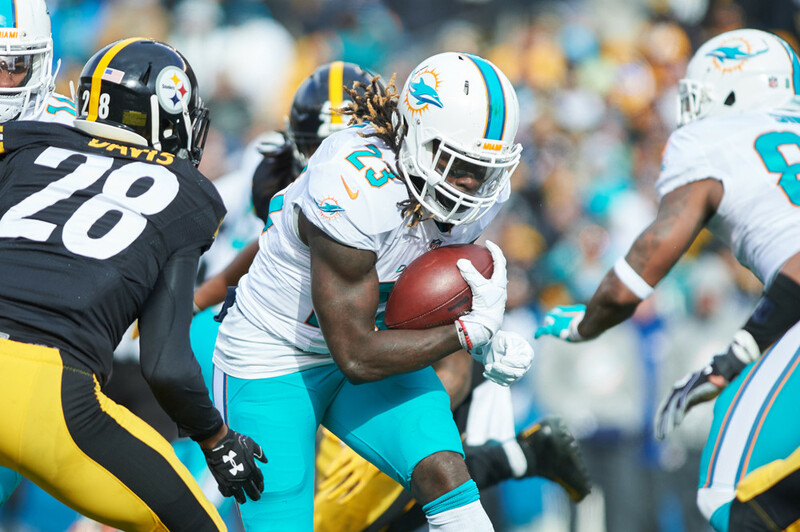 Best Pick – Jay Ajayi: It is rare to see workhorse backs in today’s NFL, and Ajayi has turned into one of the better ones. While he is extremely volatile, Ajayi will see a big workload in his third season. Usually going on the first and second round turn, he is a value at 2.10. Worst Pick – Christian McCaffrey: While it is PPR, the dynamic pass-catching McCaffrey has a large amount of question marks around him. Jonathan Stewart should still be involved and McCaffrey will be the tertiary rushing option in the red zone behind Stewart and Cam Newton. Going in the back half of the second round is too high for someone that has low touchdown expectancy. Best Pick – Leonard Fournette: The ankle injury to Fournette is driving down his price, but if he gets over this injury, picking up a generational talent like Fournette in the third round is great. While he may not get absurd touchdown numbers playing for Jacksonville, Fournette should see the bulk of the workload. Combine the fact that the new regime in Jacksonville wants to run the ball and Fournette’s talent, you get a solid RB1 with two stud wide receivers or a stellar RB2. Worst Pick – Dalvin Cook: Cook has been a riser for me since the injury to Latavius Murray, but I am not a believer in the price as of now. In an offense expected to be towards the bottom of the league, sharing a backfield with a goal line presence in Murray scares me. While I believe in the overall talent of Dalvin Cook, I do not think his second-to-third round price will return value. Best Pick – Michael Crabtree: The “number two option” for Oakland is finding himself being taken in the fourth and fifth rounds in draft, despite outperforming Amari Cooper in back-to-back years. This is yet another year where Cooper is supposed to overtake Michael Crabtree, but it is plausible we see Crabtree dominate yet again. At the fourth round draft price, he has a high floor and has a chance for double digit touchdowns. Worst Pick – Tyreek Hill: Tyreek Hill is a game-changing player. His speed is unmatched and Hill has to be accounted for on every play. However, I cannot justify taking him in the fourth round ahead of guys like Davante Adams, Martavis Bryant, and Allen Robinson. The Chiefs might plan to use him less on the ground and more through the air, and teams will start shifting coverage towards him now. He will give you huge weeks, but have down games as well. Best Pick – Stefon Diggs: Diggs has shown when he is healthy, he is the focal point for the Vikings. When he is on the field, he can make the defense pay over the top, but also controls the intermediate and short parts of the field. A healthy Stefon Diggs will perform above his ADP. He is a bona fide WR2 in PPR. Worst Pick – Jamison Crowder: With guys like Stefon Diggs and Edelman going behind him, Jamison Crowder was a reach. While he has great potential in an electric offense, the dispersal of targets has yet to be established. It could be Terrelle Pryor and Jordan Reed receiving the lion share of the targets and Crowder gets the scraps along with Josh Doctson and Chris Thompson. In the fifth round, Crowder is priced with the expectation of a WR2 finish. Best Pick – Sammy Watkins: Despite it being a PPR league, the fall for Watkins has gone too far. Sammy Watkins is far too talented to be in the sixth round of drafts. He has the most talent on the receiving group in Los Angeles and Jared Goff has actually looked competent this preseason. Don’t let Watkins fall this far in your draft. Worst Pick – Mike Gillislee: I love Gillislee the player and the situation he has entered, but he is currently injured in a wide open running back competition. Rex Burkhead looked great running with the 1’s in preseason and James White and Dion Lewis continued to catch the ball well. In the sixth round, Gillislee is a gamble. Best Pick – Matt Ryan: To see the reigning MVP in the same round as Derek Carr, Kirk Cousins, and Jameis Winston is understandable, but should not be happening. Matt Ryan is on the cusp of the elite quarterback tier and should find himself near the top again. With elite receivers and running backs who all catch the ball well, Ryan has one of the best supporting casts around him. He offers elite upside in the seventh. Worst Pick – Darren McFadden: It’s hard to justify the McFadden pick here in the seventh. The most games Ezekiel Elliott can miss is six and that can be reduced or even wiped out. A fill-in in the top seven rounds isn’t worth it. I can see it in the later rounds, but not here. Best Pick – Donte Moncrief: The number two option for Andrew Luck (hopefully) should be going higher than the eighth. While he won’t be a 90+ reception guy, Moncrief offers elite touchdown upside. If Andrew Luck is good to go by Week 1, this will be a steal. Worst Pick – Adam Thielen: On an average offense, it is best to have the number one or the number two targets in the offense. Adam Thielen in the eighth round next to guys like Jeremy Maclin, Tyrell Williams, and Randall Cobb is a reach. Better offenses and target share belong in favor of the guys. Thielen has to leap frog Kyle Rudolph and Stefon Diggs and then score more touchdowns than the two. Thielen belongs in the 10th through 12th rounds. Best Pick – Theo Riddick: I’m a huge fan of Theo Riddick late. He is one of the more consistent pass-catching running backs and is often Matthew Stafford’s security blanket. When Stafford is in trouble, Riddick is the first option. That kind of safety you can slide into a flex spot in the ninth round is magic. Worst Pick – Cam Newton: To be completely fair, all of these guys belong in this round at this point in the season. But Cam isn’t as polished as a passer as some of the quarterbacks in this round. He completed well below 60% of his passes last year and as he gets older, Cam may run less. In the early part of his career, he gained a majority of his value from running the ball, but after an injury plagued season, the coaching staff might be more cautious with Newton. He’s a risk inside the first ten rounds. Best Pick – Marvin Jones: The pendulum has swung too far. Jones broke out for the early part of 2016, but struggled the rest of the season. It seems the fantasy community has forgotten what he can do. He’s a big body for Stafford to throw to and will be utilized everywhere. He’s a value in the 10th round. Worst Pick – Any Defense: I never understood the early defense strategy. While they will probably have elite weeks, it isn’t worth taking them this early. Stream defenses that have easy matchups in Week 1, such as the Bills, Falcons, and Rams (if Luck is out). Wait for the last two rounds to take a defense.